Dwaine and Dynetta Woods had the perfect healthcare business. Based in Louisiana, the husband and wife operated a personal care service company, Millennium Health Care Services. Exactly 10 years ago, an audit showed that Millennium was not properly training its workers. Instead of correcting the problem, the Woods made things worse by creating forged documents and CPR certifications for their workers. Now Dwaine Woods is headed for a Louisiana state prison for the next 10 years. The case against Millennium and the Woods begins in December of 2006. That month the company was cited for deficiencies and ordered to submit a plan of action. Millennium receives almost all its money from Louisiana’s Medicaid program. To continue participation, regulators said Millennium had to show it was taking action to come into compliance. One of those deficiencies was a lack of CPR training for its healthcare workers. Louisiana Medicaid rules require that personal care workers be CPR certified. If a medical emergency occurs during a home visit where no physicians are readily available, personal care workers need to know how to respond. Instead of correcting the problems and getting CPR training for the employees, prosecutors say that Dwaine Woods lied to the Louisiana Department of Health and Hospitals (DHH). That agency regulates personal care workers. Prosecutors also way that Woods submitted false board of directors’ minutes, a forged and false evaluations, and forged documentation falsely claiming that Millennium had hired a CPR instructor. He apparently did these things so he could keep billing Medicaid. Without proper training, Medicaid won’t pay for personal care workers. But Dwaine’s lies allowed him to stay in business for another 4 years and collect another $10 million from the state. Ultimately Dwaine and Dynetta were caught. Rather than admit their guilt, the Woods and Millennial pleaded not guilty. After a 9-day trial in January of 2015, both Dwaine and the company were convicted of felony theft. Dynetta was convicted of forgery for making phony CPR cards for their workers. “I am very proud of my criminal Medicaid fraud attorneys and staff for obtaining convictions in this outrageous case. Not only were false and fraudulent representations made to Louisiana's Medicaid program, but the defendant company's employees were not even trained in life saving CPR procedures as required by law. These actions by the defendants not only cheated Medicaid, but also endangered the lives of the very people who they were being paid to assist. Both my civil and criminal Medicaid fraud units will continue to relentlessly pursue those who cheat and defraud Louisiana." After almost two years of legal wrangling, the Woods were finally sentenced this month. Millennial and Dwaine Woods were ordered to pay $6,985,249 in restitution. Dwaine was also ordered to serve 10 years in prison. Dynetta received 5 years of supervised probation and must pay $54,000 in restitution. She also is barred from the Medicaid program. 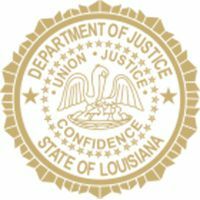 Medicaid fraud is a serious crime in Louisiana. Not only did the Woods steal from taxpayers (Medicaid is taxpayer funded), they also endangered peoples’ lives. Instead of spending a few hours of time getting their people trained, Dwaine and Dynetta Woods got too greedy and instead lied to the state and made forged ID cards. Under Louisiana whistleblower award program, awards are generally 15% to 25% when the state prosecutes. The awards can be as high as 30% if the case is prosecuted privately. In a case like Millennial Health Care Services, that means an award of approximately $1 million to $2 million dollars! Louisiana Medicaid fraud is unfortunately extremely common. In fact, the metropolitan New Orleans area has one of the highest fraud problems in the nation. You can help prevent Louisiana Medicaid and Medicare fraud and perhaps earn a whistleblower award. If you have information on healthcare providers cheating Medicaid or Medicare, report your information and check your award eligibility. Or call 888.742.7248.